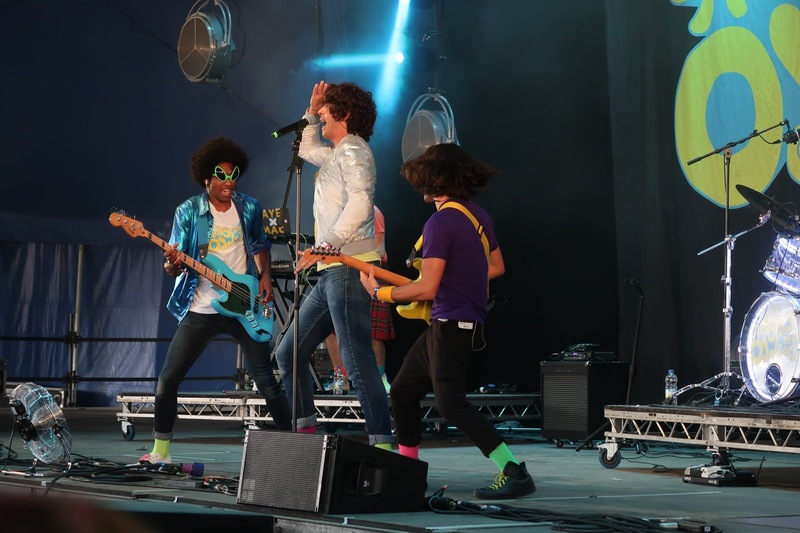 Camp Bestival is turning into a bit of a ritual for us as a family. It kick starts the summer holiday and also is a fantastic way to celebrate my birthday. Unfortunately for everyone, the Sunday of the festival was cancelled this year due to adverse weather condition. But we still had a fantastic weekend on Friday and Saturday. This year, we brought along our friends Tamsin and Rubi to enjoy the fun with us. 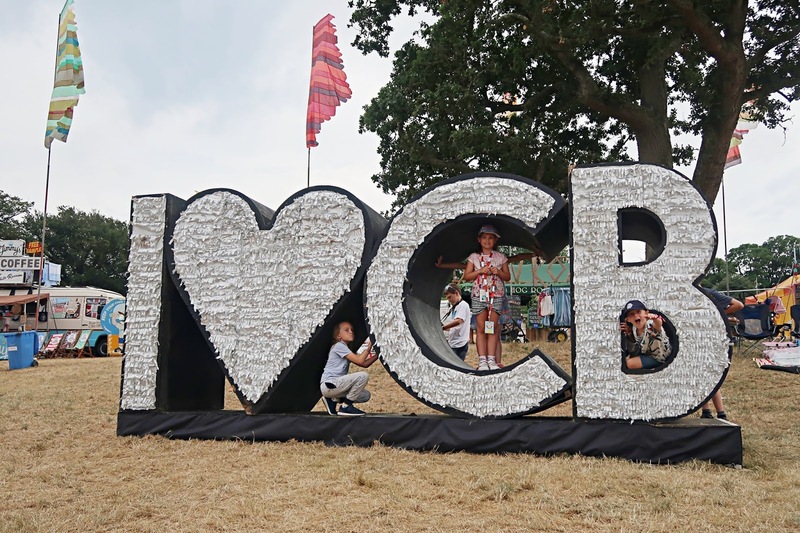 Having never experienced a festival before, they couldn't wait to see what it was all about, immerse themselves in the festival life we love so much and find out why Camp Bestival is so special. On the Friday I was riding solo with the kids, I must say I was a bit apprehensive at first as they can either be angels or hate each other. After a few stumbles (and many pleas to go on the expensive fairground rides!) 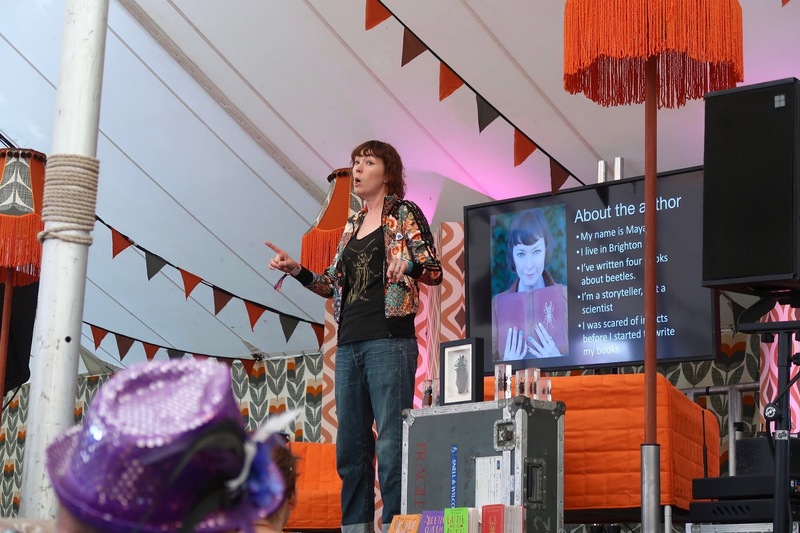 we settled in the literary tent to watch our favourite and friend, M.G Leonard! Her talk was an amazing talk about beetles and how to create a story from something that you might initially be afraid of. The kids loved it and I had a fab time catching up. 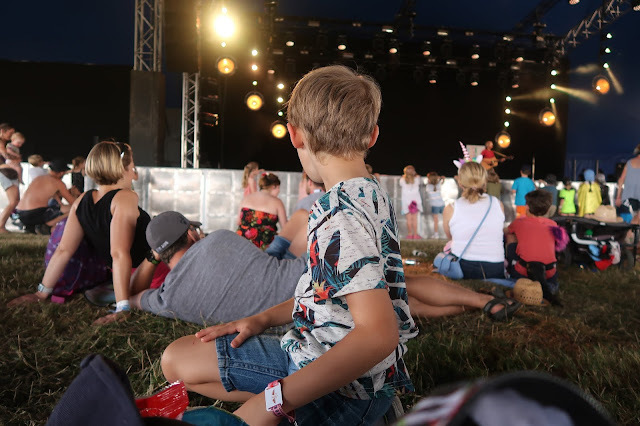 We then headed the the big top to check out some of the family friendly entertainment and wait for Andy and the Odd Socks to come on stage. Whilst we were waiting, Nick Cope performed an amazing selection of songs that were just a little bit silly. I can honestly say that I love stumbling on acts you didn't know about that turn out to be fantastic. The kids were rolling around laughing and Rubi even managed to squeeze on stage (check out the vlog for that footage!). Of course Andy and the Odd Socks drew an amazing crowd. The big top was as packed as the eye could see and our front row spot meant that we had great fun singing and dancing along. I'm always so impressed at how fantastic their shows are and we honestly can't wait to go see them again at Victorious later in the summer! There's an amazing energy and I can't believe that he's still jumping around the stage so much when he has a baby at home! I certainly couldn't have had the energy with a little one (I still don't at times now...) They are honestly a festival favourite for us, they get the crowd going wild and it's fantastic to see so many kids up dancing with their parents. 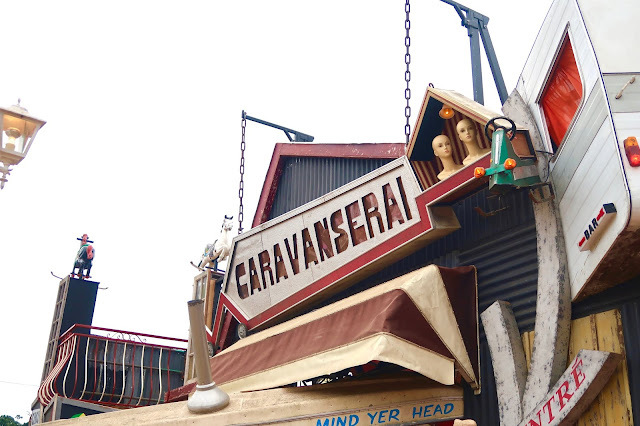 For us, there's no trip to Camp Bestival without a visit to the Caravanserai area. A weird and wonderful ode to vintage caravans, folk/punk music and everything weird and wonderful. Max was a bit gutted that his favourite bit (the caravans you could climb in) had been turned into a small stage. One he realised that it was full of circus performers, a space for kids to perform and dance and just a general place to have fun, he was soon in his element. At one point the kids were slow dancing to a punked up version of a chart hit whilst I was sat there wondering how crazy and amazing the day had been. The Caravanserai is one of our favourite places to rest and chill out. 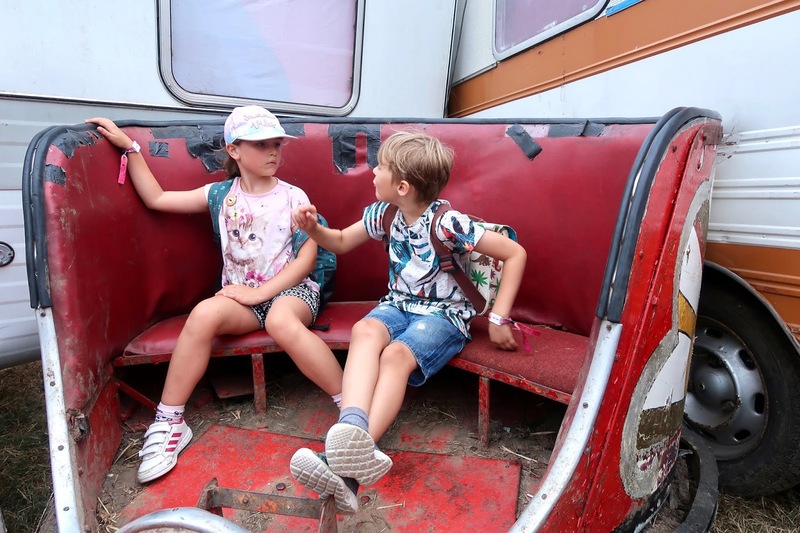 It might not seem like a chill out space on the surface, but when you see that each caravan has a secluded seating area you realise that it's the perfect place to sit back and watch the festival go by. It's honestly one of our favourites. In between all the dancing and the watching, we took part in activities, watched mad science shows and just took in the atmosphere. 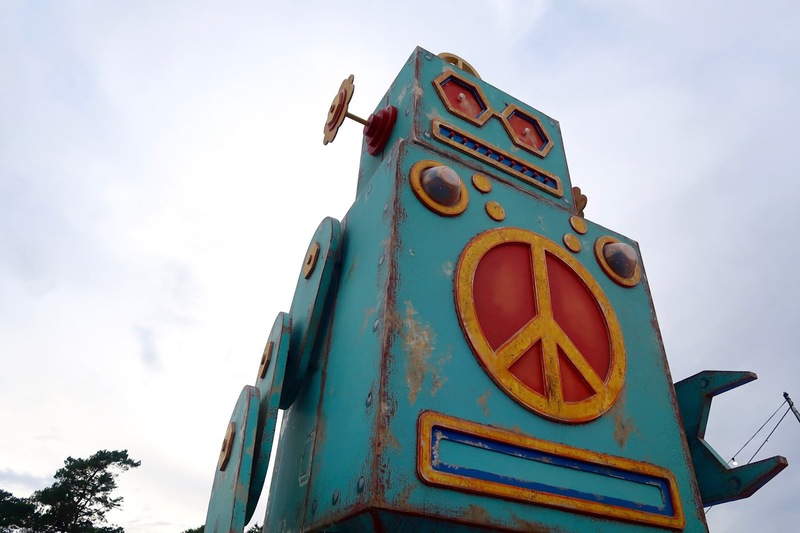 I don't know anywhere that you can dance to 50's music one minute in a ballroom tent, then rave to 80's jams under a giant robot the next. The children were in their element and didn't want to leave. With full bellies and the sun starting to set, we wanted to catch the electric parade before we left. It's probably one of my favourite moments of the festival and I have to catch it each time we go. 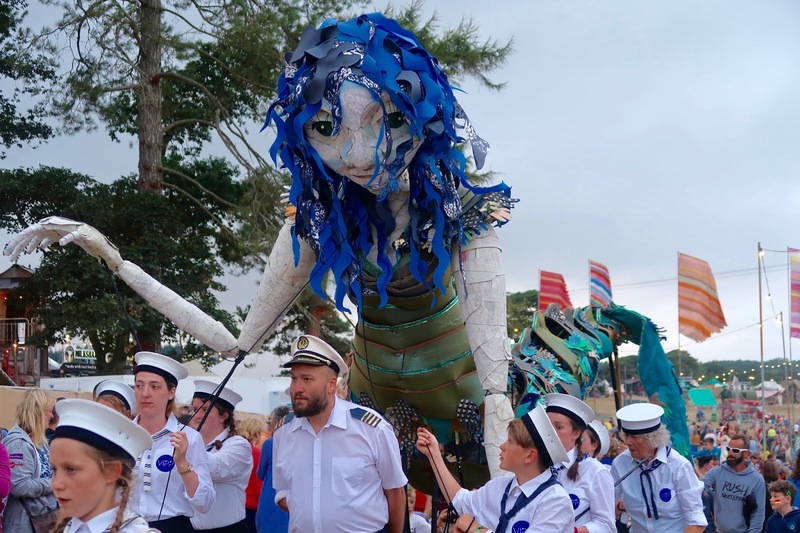 With a theme of Camp Bestival set's sail this year, the nautical theme ran wild in the parade. With mermaids, sharks and jellyfish floating, the kids were full of ooh's and aah's whilst they yawned away. As the parade drew to a close, I was gutted to have to take the kids home, for whilst I wish I had brought a trolly for them to sleep in, I knew that I wouldn't be able to drag it back up the hill with 2 7 year olds after dancing to Rick Astley! A girl can dream of never giving up another day. But for Friday we were pooped and we had another fun filled day ahead of us on Saturday too. On a side note: It's worth considering that a lot of the layout and the goings on within sections had changed this year at Camp Bestival. We could only assume that it was because it's big sister Bestival is on the following weekend, so they needed a layout that worked for both. Unfortunately for us things were further apart and we also missed a few things as the schedule lanyards were printed wrong. Not only that but we were disappointed to find fewer toilets in key areas (upper kid's garden I'm looking at you). Having said that, it's just niggly bits that is obviously part of festival development. Nothing can be perfect and we loved our weekend. * Note: We were gifted tickets in exchange for an honest review. All opinions are my own.